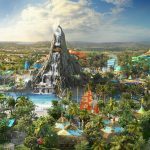 Universal Orlando has revealed details on their new 3rd park, Volcano Bay; including themed-areas and slides. 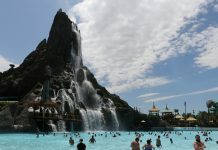 The new water park, which will be located adjacent to Universal’s Cabana Bay Beach Resort, is scheduled to open in 2017. 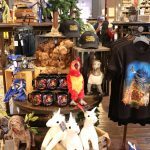 According to the press release, “A lush, tropical oasis unfolds before you, instantly transporting you to a little-known Pacific isle. 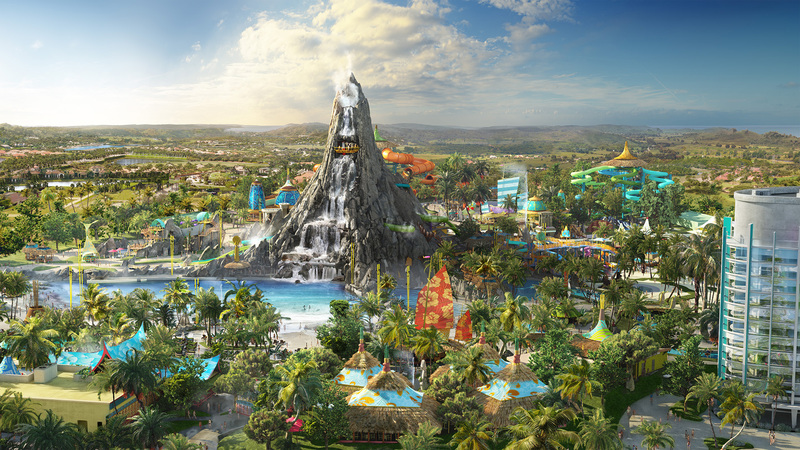 In the distance, a colossal volcano rises above a sparkling beach, boasting majestic waterfalls by day and blazing lava by night.” The new water park was inspired by Polynesian influences ranging from Easter Island, Hawaii, New Zealand and more. 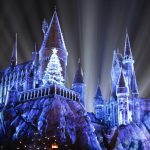 Spanning 28 acres, Universal Orlando promises their third theme park will be an entirely new kind of water theme park experience. 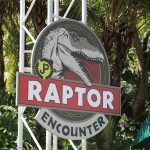 Guests will be able to enjoy a variety of experiences, ranging from winding rivers and private, two-story cabanas to family raft rides and twisting body slides that launch guests above the water. 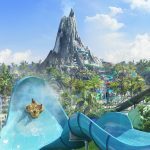 Volcano Bay will offer 18 unique attractions and will be divided across four primary park areas – Krakatau, Wave Village, River Village, and Rainforest Village. 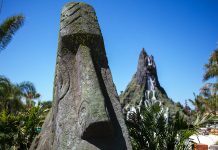 The 200-foot volcano, Krakatau, will lie at the heart of the park, inviting guests to venture through its hidden caverns and cascading waterfalls. 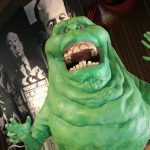 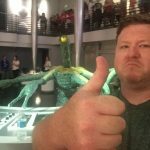 A state-of-the-art marquee attraction will be featured here and revealed at a later date, with no hints as to what it could be. 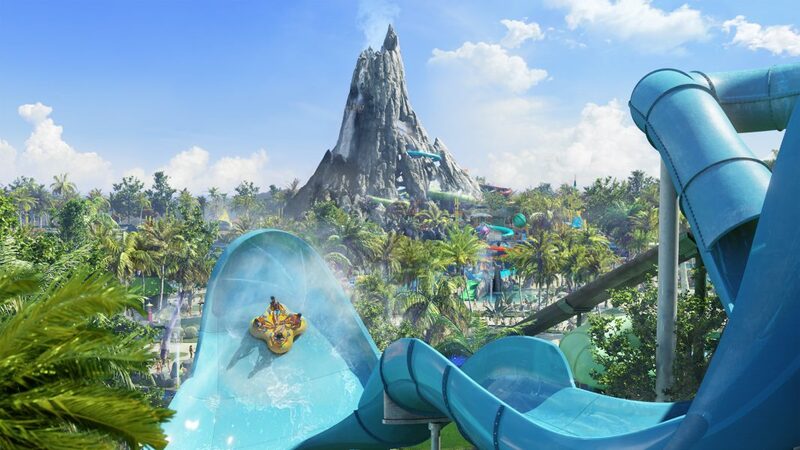 Volcano Bay also promises a hassle-free convenience, and is planning to redefine the queue experience so guests can focus entirely on having fun and spending time together as well as offering ways for guests to not have to worry about carrying their own rafts up the slides.